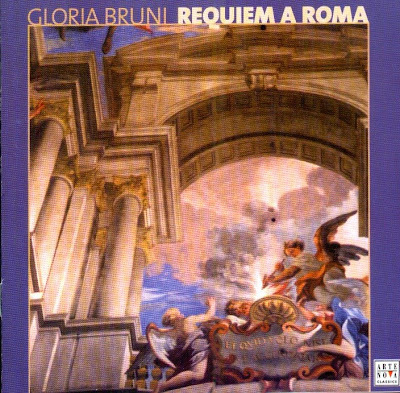 "I had laid before Monsignore Pablo Colino, the Director of Music at St. Peter's, Rome, a few already completed sections of the Requiem a Roma. As a result he gave me his placet, although with the provisio that the Requiem a Roma must not exceed an hour's duration. Subsequently, each section of the Requiem was checked by Monsignore Colino and also by Monsignore Valentino Miserachs, president of the Papal Conservatoire. I was therefore quite amazed that ideas like, for example, the accompaniment of the last verse of the Liber scriptus by congregational singing should be welcomed by the Vatican. My Requiem presents death as a transition to an existence freed from care. The music must be gripping, but not mournful; it must give hope of the beyond, and thus reflect my present conception of death. New in this Requiem is the fact that it begins, not with low voices, but with an innocent child soprano. New also is that it end with an inward prayer by the boys' choir and a boy soloist. Altogether a Circulus vitiosus, for it end as it began - with the innocent voice of a child." The first performance took place on 5 November 2000 as a benefit concert in aid of the Salesian Order for the "Street Children of the World", at St. Ignazio's church in Rome. On the previous evening, the Kyrie and Sanctus were given a prior performance before Pope John Paull II in the great audience chamber of the Vatican, on the occasion of the fiftieth anniversary of the singing of the European Convention on Hman Rights. The Holy Father said that he was "deeply moved" by the music. As well as the Pope, parliamentarians and statesmen from all over Europe heard this performance of excerpts - among them Michail Gorbachev. The CD was released by Arte Nova, 2001, (DDD). Arte Nova 74321870662.